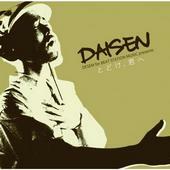 Japanese reggae artist DAISEN is an experienced musician who mixes his DJ flow style with soft melodies to produce a cool sound with a message of harmony. Since 2000 he has performed in bands and solo around his native Japan. He has also been featured on numerous compilation albums (see below). He released his first mini album “Totoke, Kimi he”(Send To You) in 2008 and is currently performing around the Tokyo and Kanagawa areas. His latest single “Mitsuki no Kaze” is on sale now.